A Touch of Glitter: Pregnancy Update - Hello Third Trimester! 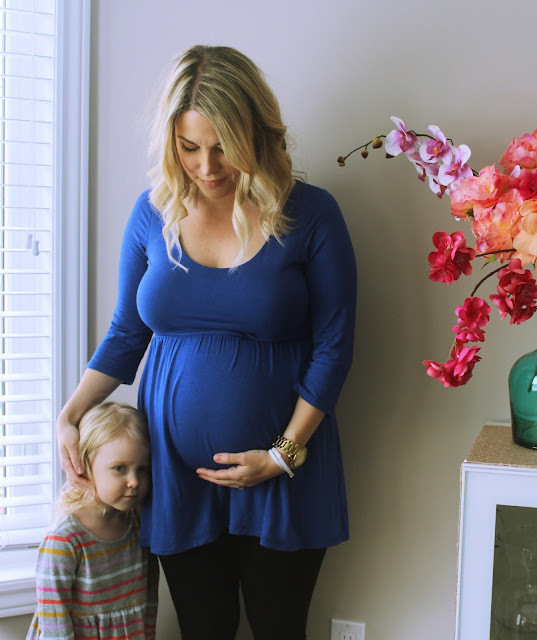 Pregnancy Update - Hello Third Trimester! Well, here we are! We've made it to the third trimester (yay)! I'm actually almost 31 weeks now, and I just realized this is the first pregnancy post I've done. I’ve been so busy with Addison that this pregnancy has flown by and I’m not complaining! This pregnancy has been so different from my first pregnancy. With Addison I was mostly just tummy, this pregnancy I’ve gained weight everywhere. At times I get frustrated with the weight gain and can't wait to have this little girl and get back into shape, but then I just remind myself this is our last baby and to enjoy the fact that I'm carrying a little miracle inside me. It really is amazing what our bodies can do to grow these tiny humans. I remember not being uncomfortable in my first pregnancy until the last month. With this pregnancy I started getting tired and uncomfortable with a growing belly at 6 months. So I’ve been living in comfortable clothes for a while now. 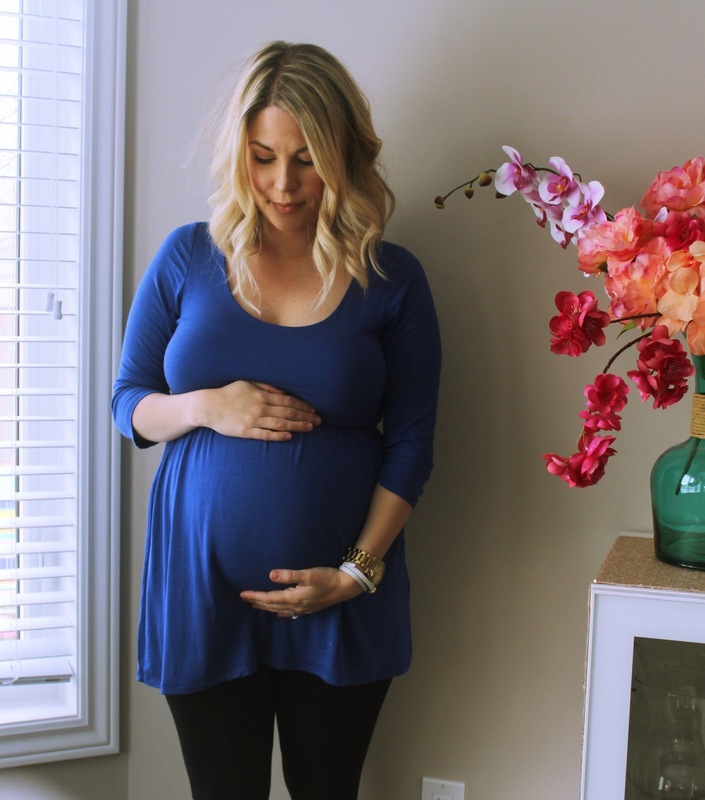 Luckily there are some great maternity brands, like PinkBlush, that make maternity clothes that are comfortable and cute. Their clothes are also affordable which is nice. I find a lot of maternity brands are so expensive which doesn’t make sense to me because you only wear these clothes for a few months. Although I still have a few PinkBlush items from when I was pregnant with Addison that I like to wear with tights when I'm in a comfy mood. Even this dress was super comfortable so I didn't mind getting out of my tights for a day!